Over the past three decades our favorite question for women whose marriage has failed is, “WHY?” What went wrong? Why do you think your marriage failed? The answer we often get from our female respondents is this, “I thought I could fix him.” We wish she had asked us about this issue before she decided she could change him into Mr. Right. There is one truism you can take to the bank – YOU CANNOT CHANGE HIM! Either accept him the way he is—warts and all—or move on. Always remember, the personality of a human being is WELL established by their early to late teen years! If you think you can change him, you are potentially setting yourself up for an unsatisfying and failed relationship . . . and often times, with dangerous consequences. In our 30 years of interviews we have learned that there are seven telltale signs of relationships that will not work. These are not habits such as burping after dinner, leaving messes around the house, or turning the music up too loud. These are pervasive personality characteristics you cannot CHANGE or FIX. These are character flaws. Don’t be fooled and don’t be deluded into thinking you can make these attitudes and behaviors go away. You can’t! 1. Controlling Behavior: We often hear women say to us “He always wanted to be in charge.” He wanted to “Have the last word.” “If I wanted to go to movie X, he would buy tickets for movie Y.” He wants to control who you talk to, what you do and where you go. True loving relationships are characterized by adherence to “democracy” – a relationship where responsibility is shared. Having someone “in charge” does not make for a healthy relationship. 2. 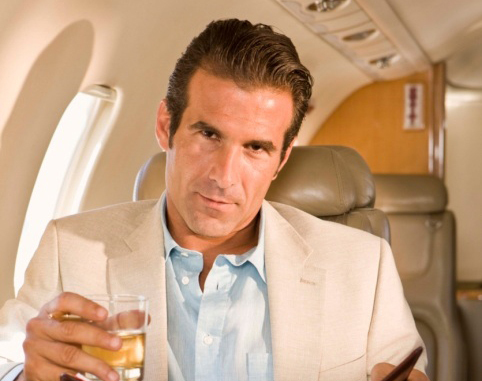 Condescending Attitude: Here’s the deal – your guy is NOT your master, ladies! You are not his slave. He is not more important than you and his attitudes and opinions do not trump yours. If he exhibits a condescending attitude towards you more than once a week, you might want to reconsider your relationship with him. If he acts like he is superior, it is time for you to move on! Many women we have interviewed tell us that their so-called “partner” believes everything should be about him and that he has an insatiable need for admiration and self-aggrandizement. If he thinks he is superior to you, you should demonstrate otherwise by walking away from your relationship with him. 4. Bullying Tactics: Let’s be honest here – nobody likes a bully. A bully wants to push you around. A bully wants to make you cower in his presence. A bully is a termite. He is always trying to get inside of you and weaken you. He wants to eat away at your interior so he can control you. So, we ask this simple question, “Does your mate bully you?” If he does, it is time to walk away from your relationship. 5. Manipulative Actions: Here is a simple question for you to contemplate – does the one you love try to manipulate you? Does he try to “pull your strings” as if you were a puppet? Does he continuously find different ways to manipulate you – your actions, your feelings, your behaviors, and your aspirations? Some men always want to steer you towards a conclusion they would have drawn, not one you would have drawn. Beware of manipulation! 6. Lack of Follow Through: Okay, he promised you a rose garden, but never delivered! He told you he would take you to dinner, but made excuses for why he do it. He told you he would cut the grass, but didn’t. The truth is, he told you he would do a lot of things. In the end, he rarely ever follows through on his promises. Heed the warnings – not following through is a warning sign that you should pay close and careful attention to. 7. Cannot be Trusted: We have found over the years that the best marriages have at their core – TRUST! If you have caught the man you think you love in lies—even little lies—be very cautious. Brushing it off as no big deal can have major consequences. If he talks about how he doesn’t have to be truthful with his friends or family members in certain circumstances, be very cautious. If he can lie to a friend or family member, he will lie to you. If you can’t trust him, move on. If you stay, you do so at your peril. Here is the most important lesson of all – if he is flawed, if his actions and behaviors correspond to the aforementioned, you have to understand that you can’t fix him! If he demonstrates any of these pervasive personality characteristics, he is impossible to change. If you want to flail away at windmills, go ahead and believe that you can change him. But in the end, you will be terribly disappointed. According to WENN News Madonna gave one piece of advice to the couple who got engaged during her recent Amsterdam concert. Madonna’s advice was, “ Never go to bed angry.” She just gave the couple the best advice possible. This is the same advice we have heard from thousands of successfully married couples who have lived on all seven continents of the world. As many of our readers know, we have been researching successful marriages for more than 30 years. We have interviewed thousands of successfully married couples in 47 countries of the world, learning a lot about what makes good marriages work. Remember, this advice comes from thousands of happily married couples around the world. The advice these couples give isn’t designed to shock the media with something unusual or out of the ordinary. These are the words of couples with a proven track record. Madonna had it exactly correct! The good news about the notion of “Never go to bed made at each other” – it is based on research from those who would know best – those who have been happily, blissfully, and successfully married for 30-60 years! It was delightful to hear Madonna giving a newly engaged couple exactly the right advice when many so called “experts” routinely miss the boat! Married couples do, from time to time, have disagreements. They argue over big things and little things. They argue over stuff that doesn’t matter and stuff that does. But here is what we have learned from 30 years of research – happily married couples rarely ever go to bed without resolving their differences on an issue, be it big or small. Many report to us that they have stayed up all night trying to bring closure to an issue that has divided them. They know that gaining resolution is far more important than getting a good night’s sleep. And remember this, issues that are not attended to more often than not fester through the night and only appear worse in the morning. 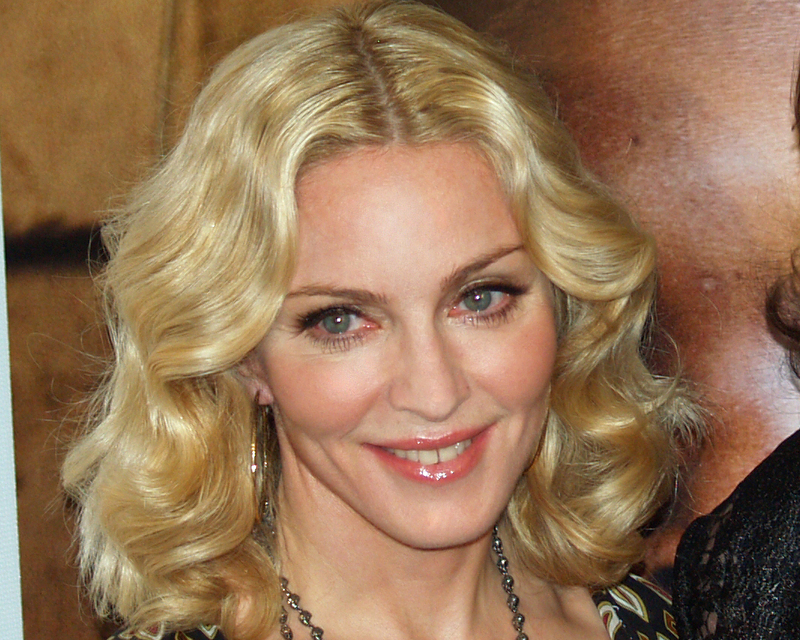 It is good to know that Madonna, who has struggled with her marriages, has now learned the most important lesson of all – never go to be mad at each other!